When transporting your publishing goods, having total confidence in your provider is a must. You need to know that your items will arrive in pristine condition and by your set deadlines, and that it won’t cost you an arm and a leg. Our global publishing logistics experts have decades of experience working with the publishing industry. We know that it can be a long and arduous task to identify the best solution for you - so we want to help you simplify it. At WTA Media, publishing logistics experts. With a global reach and customer-centric focus, we deliver your goods safely and in accordance to your timelines...all while streamlining your supply chain and enhancing your profitability. We know that it can be a long and arduous task to identify the best solution for you - so we want to help you simplify it. Through our bespoke customization of your distribution channels, we can reduce freight costs for publishers like yourself. Together we work with you to ensure that your global sales are being maximised through an efficient supply chain. With our value added services we can bring real benefit to supply chain and significantly reduce costs. Your publishing supply chain requires a truly first class solution. You need a process that has been customised to fit your needs - that’s tailor-made just for you. At WTA Media, we handle your goods from start to finish with our dedicated Order Management System (OMS). By applying world-class attention to detail, in-depth planning and communication excellence to your publishing logistics, we ensure your materials arrive at their intended destination on schedule, and as efficiently as possible. With our dedicated publishing network, Bookfreight, we can give your business access on a global scale. Nowhere is off limits, and you can rest easy with the knowledge that our experience in this area is unparallelled. Working with WTA has made the job of freighting our books to the USA extremely efficient, simple and cost-effective. The staff at WTA are extremely helpful and knowledgable, which makes working with them a real pleasure. 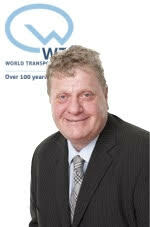 I would recommend WTA for freight export and import wholeheartedly. As part of your customised publishing solution, we strive to ensure your goods are delivered as efficiently as possible. Through our highly responsive, detail driven and holistic approach to planning, we are able to streamline the transportation of your materials, keeping your costs down as a result. Our team also deals with all customs and compliance issues, including tariff classification for novelty items. Our specialised publishing team has over 65 years of combined experience. WTA Media has also developed strong relationships with many of the top printers in China. Our extensive experience working in the publishing industry and our attention to detail means we know how to deliver the best results for your business. The secure delivery of your goods is deeply embedded into our transport operations. For your peace of mind and convenience, we can give you 24/7 visibility of your goods. More so, we have the ability to give you access to any information you desire. This includes the shipping status and performance against any of your Key Performance Indicators. As a specialist book shipper, we provide value-added logistics for publishers that can help to streamline your processes and overall costs. At WTA Media, our global logistics specialists can give you a fully comprehensive, global delivery service, whether it is to the port or to direct to door. As accredited Authorised Economic Operators (AEO) in the UK, we can give you fast-tracked clearance through trade ports. Working side-by-side with you, we identify how best to meet your needs, FCL, LCL, Cross Trade, we can handle it for you. We stop at nothing to ensure that your goods delivered on time and intact, and our experts make sure that your supply chain operates at peak effectiveness to enhance your profit margins. Our Supply Chain Audit service is free of charge, and it can result in huge benefits for your business. It's 100% confidential to ensure, and we are always happy to sign a NDA to confirm that. Contact Martin Watts today to find out more. A state of the art CO2 calculator, giving you the ability to benchmark your data year by year. An OMS which automatically balances shipments if less than 95% of your order is dispatched. A Rate Calculator developed based on book specifications (per copy or per Kg), allowing quick and easy cost appraisal. We also offer a specialised fulfilment service if needed, which includes labelling and re-packing of your goods. Plus, we also offer book specific consolidation services – Books travelling with Books. To give you a first-class customer experience, you will have your own account manager. They will personally keep track of your materials, and be available to answer any question or meet any requirement you might have, from start to finish. Our international supply chain specialists can help you to get the results your business needs to succeed. We have many different services that can be used in combination to achieve the best return, follow the links below to learn more about them. We understand that getting your freshly printed books delivered on time and on budget to their intended destination is of paramount importance. However, with so many stops between point A and B, it is vital that you have a tailored, reliable logistics solution. 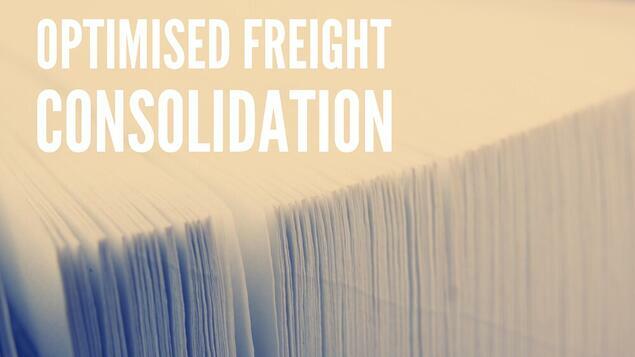 At WTA Media, we offer All Party Freight Consolidation to help you streamline your shipment. Discover more about this specialist service here. Looking to Ship Your Essential Marketing Materials? Successful marketing campaigns are heavily reliant on the quality of the supporting materials. To give you good return on your investment, it is vital that your campaign's support items are delivered on time, to the correct location and in exemplary condition. These campaigns are high in complexity, requiring a truly first class solution. You need a solution that has been completely customised to fit your own particular needs, that is tailor made just for you. At WTA Media, we apply world-class attention to detail, in-depth planning, communication excellence to your logistics, so your marketing materials arrive at their intended destination on schedule, and in premium condition. Learn more about how WTA Media's marketing subspecialty can help your business by visiting this helpful page. Working in freight forwarding for over 32 years, Martin’s experience in road, sea and air logistics is unparalleled. With the unwavering support of our valued BookFreight Network members, Martin constantly searches for new and innovative ways to enhance your publishing logistics solution - from one off events, to frequent shipments all around the globe. To learn more about how Martin can help you, view his profile here, or contact Martin today. Want to Keep Up to Date With the Latest Information? We understand that it can be difficult to keep yourself up to date with the latest in international logistics. By following WTA Media on Twitter, you can gain quick and easy access to industry information - follow us today!